The Smarty Jones 2015 at Oaklawn: The 8th running of The Smarty Jones Stakes is set to take place on Monday, January 19, 2015 on Martin Luther King Jr. Day at Oaklawn located in Hot Springs National Park, Arkansas. 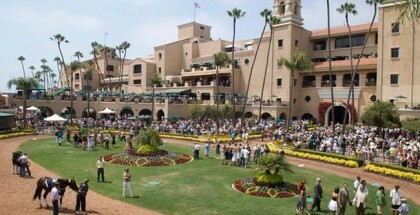 The race is 1 mile for 3-year-olds and has a purse of $150,000. 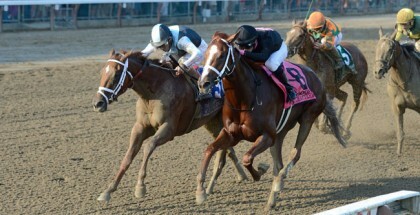 The Smarty Jones will award the first place finisher ten points on the 2015 Kentucky Derby Trail. If you have the day off to observe the federal holiday, Oaklawn is the perfect place to get to know a few of your favorite horses heading down the Derby Trail! 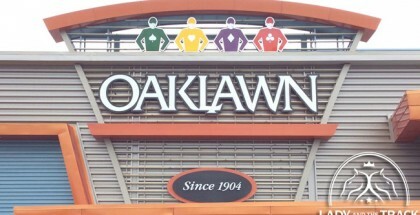 Oaklawn boasts beautiful track grounds and a gaming area with hundreds of new games including live black jack, video poker, a high limits area, and poker room. Another unique feature of Oaklawn is all of the great eateries to try out. Oaklawn has some famous and legendary food like their corned beef sandwich, fabled bread pudding, and jumbo shrimp. For a relaxed bar and grill try the Silks Bar and Grill with 25 large screen TV’s to watch the big game or the race. The grounds also offer the Pop’s Lounge. It has a comfortable and casual atmosphere, and is the perfect place to unwind after the race. The Post Parade Restaurant allows you to watch live racing, eat great food in their restaurant and shop in the Winning Colors Gift Shop. Another great option is the Carousel Dining Room with great views of the track and a casual and fun atmosphere. It features an antique collection of authentic carousel horses and music boxes with a buffet available. There are also concession stands which house the world-famous corned beef sandwich and other great convenient concession stand foods. Lagniappes provides a little Creole inspired menu with special food promotions each week. Bistro 2705 just opened in December and it’s the perfect place to catch a quick sandwich or late night snack. Military inspired fashion is the hot Winter trend and will take you from The Smarty Jones finish line to the Oaklawn poker table and casino on January 19, 2015. Whether you’re enjoying one of the many eateries, playing black jack or watching the exciting stakes race, the Winter 2015 military inspired trend is the perfect look for the 2015 Smarty Jones. This doesn’t mean that you have to look masculine or rigid. Instead, think structured and well fitted with military inspired accents and details. Try a great military inspired fitted and flattering coat in black and forest green or a shorter belted olive jacket. You can also try a feminine fit and flare dress with gold button detail, which lends it a little military vibe. Pair your military inspired look with metallic to give it a fancier flair or pair it with, navy, khaki, or earthy green accents to keep the look more subtle but still polished. Add a French navy shaped fascinator supplied by Fashion at the Races to complete your Smarty Jones look. You will look spot on no matter what you decide to do at Oaklawn for the 2015 Smarty Jones!